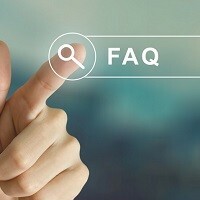 Home » FAQs » What is the Ideal Humidity Level for my Home? The humidity in your home should average between 35% and 50%. When relative humidity is within this range, your family will be comfortable, you will have less issues with allergies and asthma, and your furnishings and finishes will remain undamaged. There are several ways you can even out the moisture in your home. If the moisture is too low, you should consider installing a whole-home humidifier to work with your heating and cooling system. It will operate quietly and monitor your indoor humidity without you having to lift a finger. If you are dealing with humidity that is too high in your home, a whole-home dehumidifier is your best solution. Summer increases heat and high humidity levels outside, but you can experience extreme moisture indoors any time of the year. A whole-home dehumidifier pulls excess moisture from every room in your house. Properly ventilated homes produce an even balance of humidity, but many homes lack the ventilation they need. Older homes tend to have drafts, causing outside air to leak into rooms and compromise indoor moisture levels. Balanced ventilation systems can be installed in your current HVAC system, pulling fresh air in and removing stale air and moisture from different rooms in your home. Once you have achieved the ideal humidity in your home, you need to maintain that level to ensure you and your family stay healthy and comfortable year-round. Your air conditioner plays the primary role in maintaining humidity in your home and should be regularly maintained so it performs smoothly when moisture gets too high inside. If you have a whole-home humidifier or whole-home dehumidifier, preventative maintenance will ensure they continue operating efficiently. An HVAC technician will be able to inspect either unit during the service call, repair any damaged components, and keep it running smoothly no matter what the outside humidity level is. 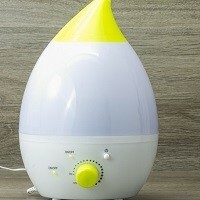 What do humidifiers help with?